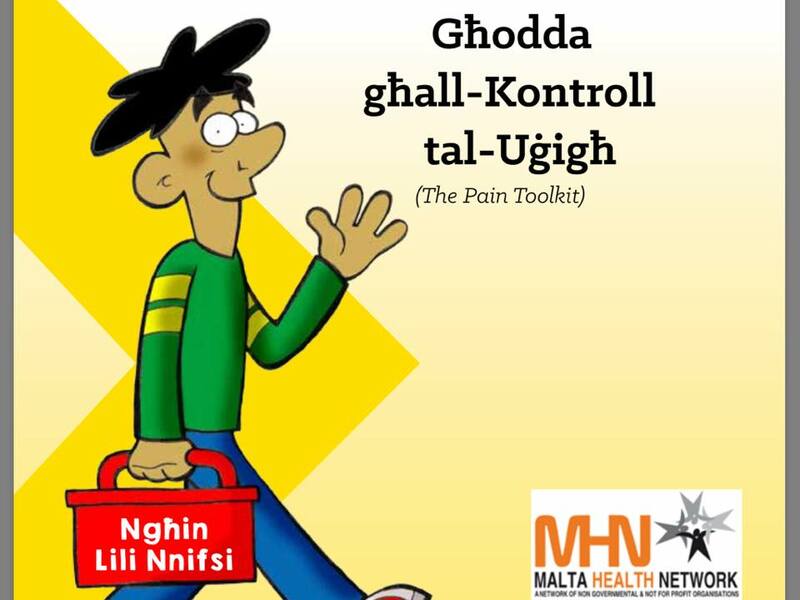 In October 2016, The Malta Health Network launched the Maltese version of the Pain toolkit – Għodda għall-Kontroll tal-Uġigħ. This was one of the activities in a project funded by SIS scheme, managed by the Malta Council for the Voluntary Sector. We first encountered the Pain toolkit in 2015, when MHN received copies of the Pain Toolkit to distribute on the World Day Against Pain. This initiative of the ISAL Foundation, Italy. These were very well received by Maltese patients and professionals alike, who demanded that we should have the Toolkit in Maltese Language. Shortly after, we submitted a proposal which was accepted for SIS funding. Thus we thank the Ministry for Ministry for Social Dialogue, Consumer Affairs, and Civil Liberties which managed the relative budget. The Għodda għal kontroll tal-Uġigħ can be easily accessed electronically. If hard copies are required, these can be requested via The Secretary, Malta Health Network . The printing of this booklet was made possible, thanks to Mr Pete Moore who very kindly granted us the rights to translate the Toolkit. 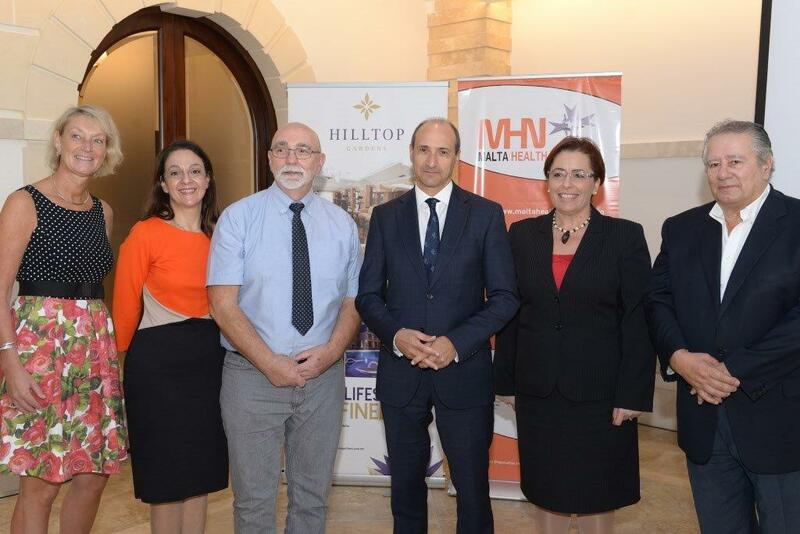 Additional funding by Grunenthal Pharmaceutical Group who, jointly with SIS, made it possible to bring Pete Moore to Malta to give training workshops in Malta. Which we would like to take the opportunity to thank for their support. Many of MHN’s 35 members have enquired why we focused on Chronic Pain. Chronic pain is defined as the persistent pain experienced by a person for 3-6 months. Often pain is one of the symptoms in a particular condition such as Rheumathoid Arthritis, Osteoartritis, Multiple Sclerosis, some types of Cancer and other conditions. Other common pains are Migraine, Back Pain, Neck Pain,etc. Some people live with chronic pain as a result of trauma e.g.after a road traffic accident, where technically they are medically fit, but they end with chronic pain or they survive cancer but have to live with chronic pain due to the treatment they experienced. Nowdays patients and professionals are demanding that Pain is recognised as a disease in its own right:it is possiblythe biggest problem compared to ‘classical diagnosis’. MHN decided to look at issues of Chronic Pain so as to relieve the wide number of patients involved. The Pain Toolkit, empowers patients -helps them help themselves. Often, patients become dependent on those around them and their professionals and they become passive in managing their own condition.The Toolkit Tips help patients regain their confidence and learn to do things for themselves. Chronic Pain leads to other difficulties such as mental health problems and emotional difficulties. Pain can affect the patient’s employment situation and quality of life through a decrease in socialisation. This project was possible thanks to MHN Board for their support in investing in this project to help chronic pain patients, to SIS Scheme and the staff at MCVS and Grunenthal Pharmaceuticals for their financial support. Thanks also to Pete Moore for granting us permission to translate his useful guidebook and for coming to Malta to provide the training workshops. Other thanks to Dr Marilyn Casha and Ms Rose Curmi for their time and for their translation work on a voluntary basis and Dr Roberta Metsola and Hon Claudette Buttigieg and their staff for helping in proofreading the L-Għodda għall-kontroll tal-Uġigħ. Many thanks to other volunteers who assist MHN with its work and MHN members for supporting MHN.